Implementing engineering change to reduce your injury risk is an important step in the ergonomic process, but justifying the return on investment (ROI) for large capital expenses can be a challenge as you are often trying to determine potential savings from injury risk reduction. However, in cases where you are trying to estimate ROI by considering injury risk reduction without concrete post-intervention injury data, you will need to look elsewhere for assistance. A useful tool available for Ontario and Manitoba workplaces that addresses this issue is the Institute for Work and Health’s Health and Safety Smart Planner. 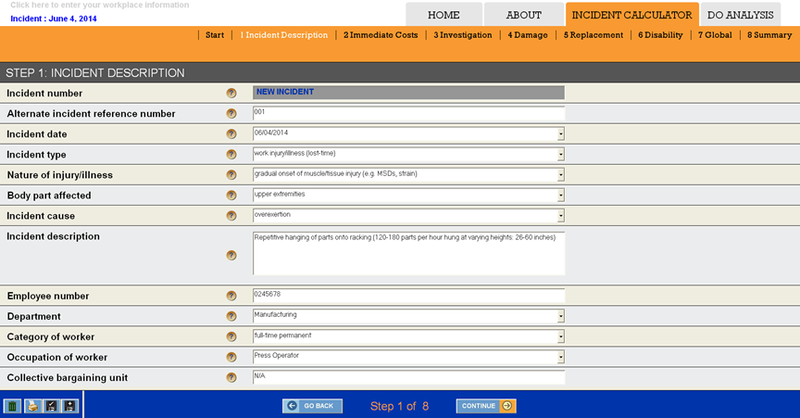 This tool allows you to enter actual injury data including immediate costs, damage costs, investigation costs and WSIB costs for workplace injuries and near misses (as applicable). The goal of this tool is to accurately evaluate risk reduction considering as many of the direct and indirect costs associated with injuries as possible. In this section, you enter the information about all the different types of injuries and near misses that have occurred at your facility. It’s important to be thorough and accurate as this information is used later in the “Do Analysis” section to pull out the relevant injuries to calculate injury costs for the ROI portion of this tool. This section considers all of the expenses associated with implementing a new initiative and then uses that to calculate the ROI for your intervention. In particular, you will work through information about intervention costs, potential productivity increases, turnover costs and WSIB costs to comprehensively estimate the ROI. 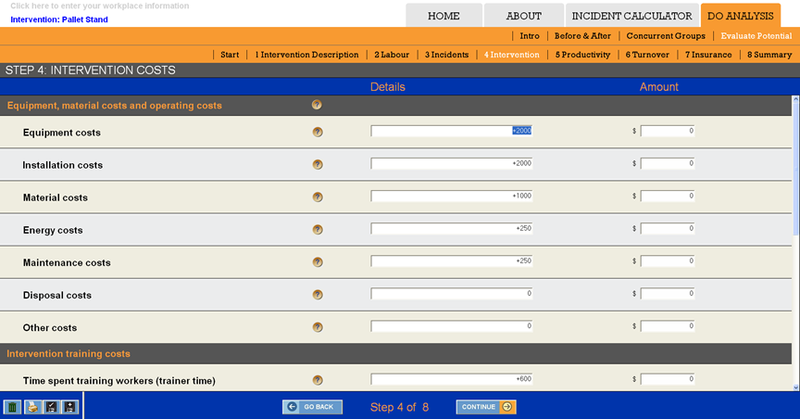 Although this tool can be a bit labour-intensive to set-up (entering incidents for example), once it’s running you should start to get a comprehensive ROI tool that can be used for MANY DIFFERENT kinds of interventions, not just ergonomics. Contact PROergonomics and let a Professional Ergonomist help you see how you can save valuable dollars through ergonomic change.